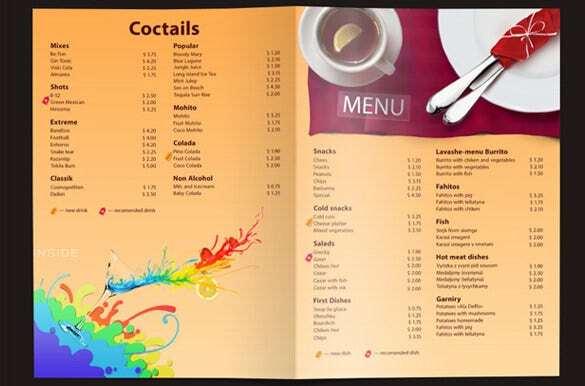 The whole purpose of a menu is to make the customers aware of the different food items, and their prices. 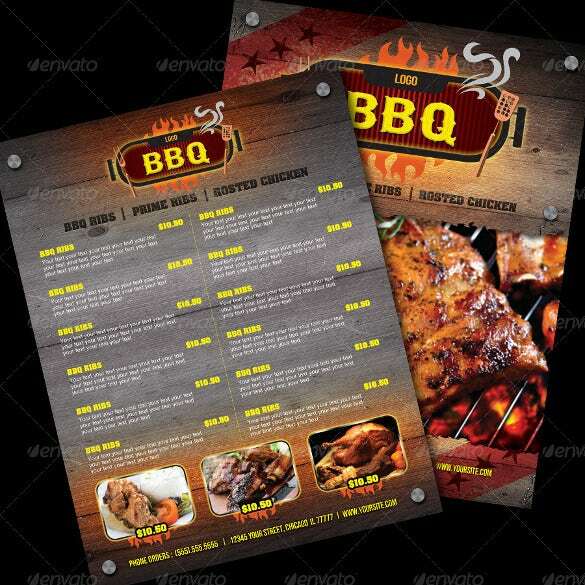 Based on that knowledge, your customers will order their food. 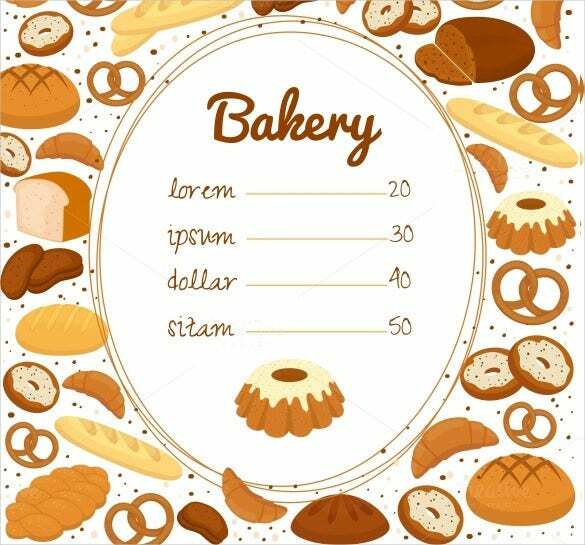 You cannot be ambiguous while mentioning the prices, and must do so in a clear, organized fashion. For that, you could look up some Price List Templates. 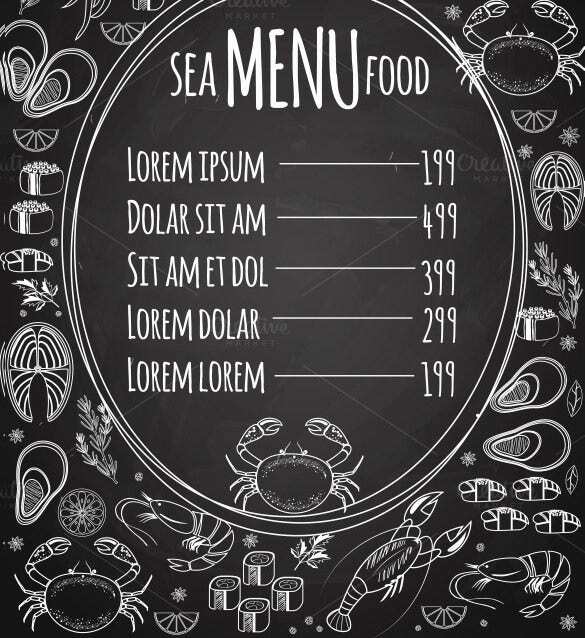 A good price Menu Template Word is appreciated by all. All you have to do is download it and customize it according to your needs. Just insert the details and you’ll be good to go. 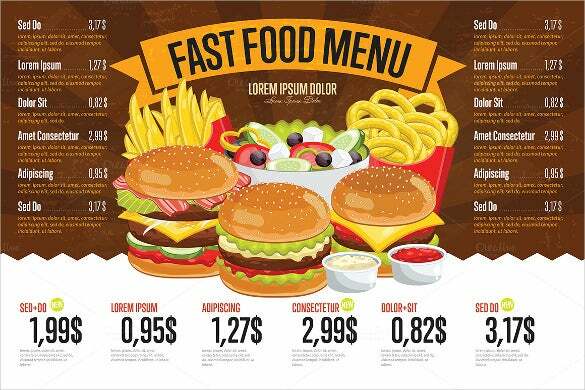 Be careful while mentioning the prices, even the tiniest mistake could end up costing you! 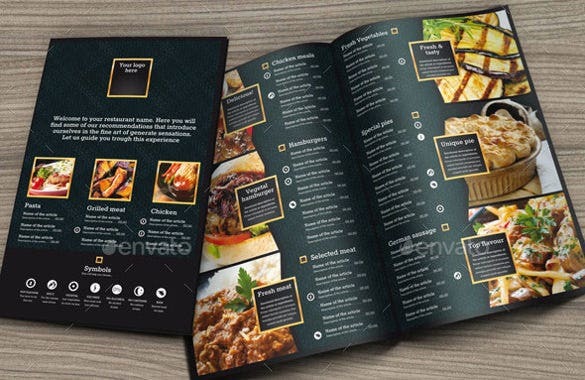 Pricing your menu is the most fundamental thing for a restaurant. 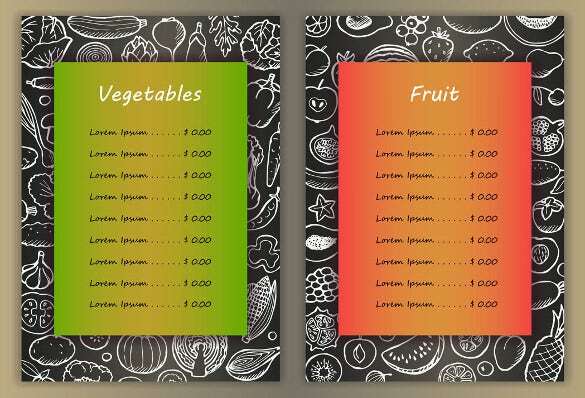 This PDF vegetables price menu template is what you need to dictate the amount you want per the food you serve. 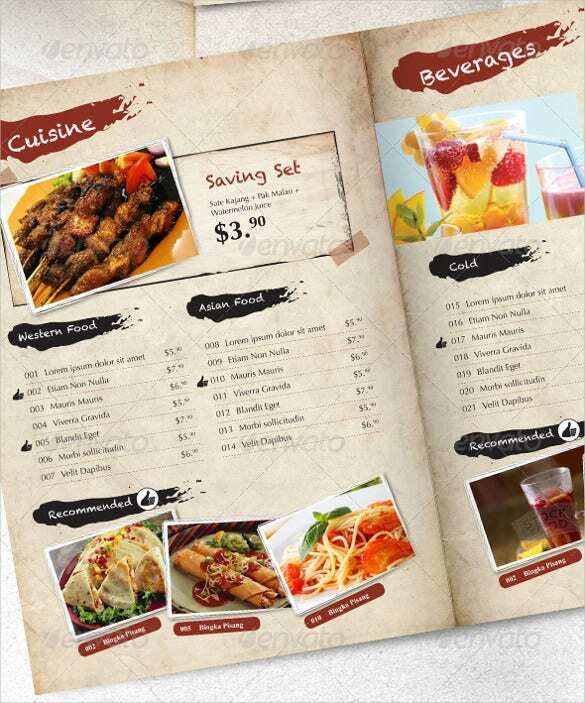 A menu is the mediator for the price between the restaurant and the customer. 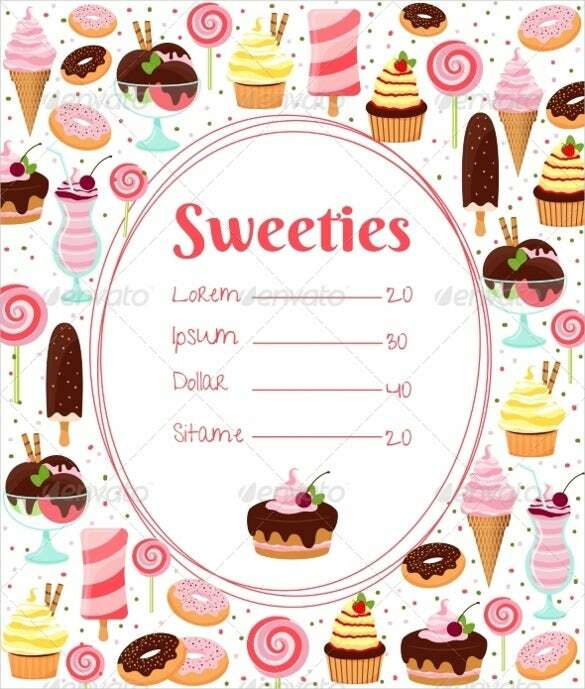 This Word sweet price menu template gives you the opportunity to give your sweets the price they disserve. 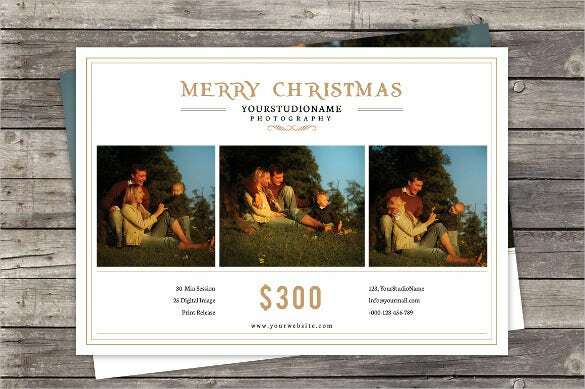 Christmas is the most important time of the year for devoted Christians. 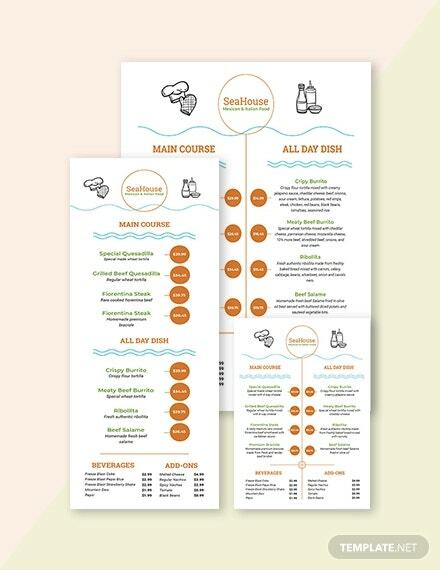 This Excel format Christmas price menu template will help you come with the perfect price to keep them coming. 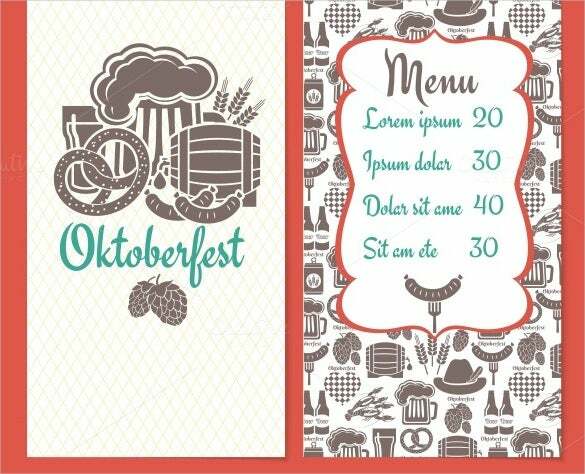 Serving a foreign delicacy can be stressful for a new business firm. 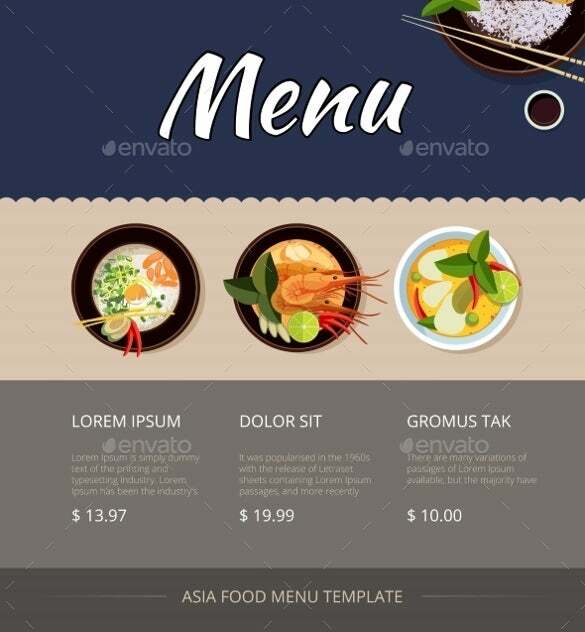 If you are looking to serve Thai food consider this PDF Thai food price menu template will help you decide the right price. 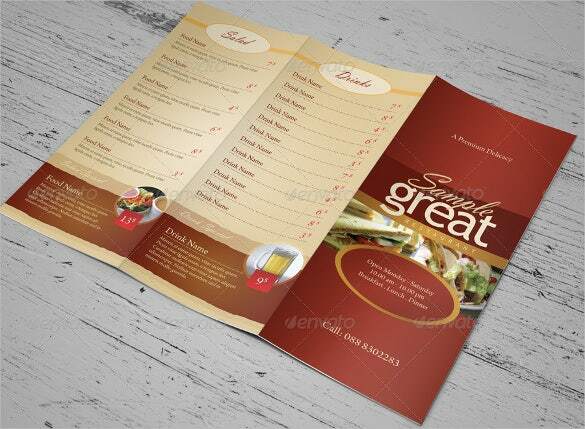 To come up with a menu with the right price of the food can be time consuming. 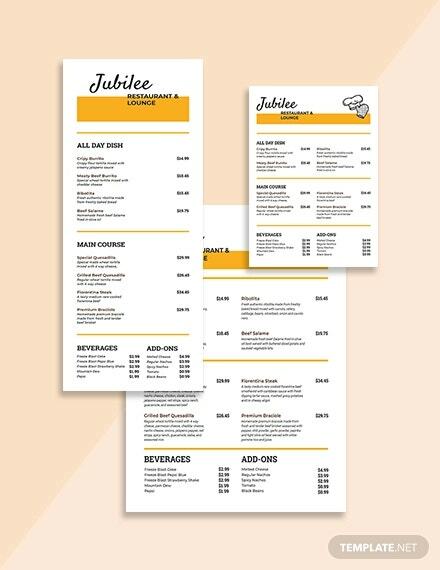 This brown colored fast Word food price menu template is a life saver as it already has pre printed prices on it. 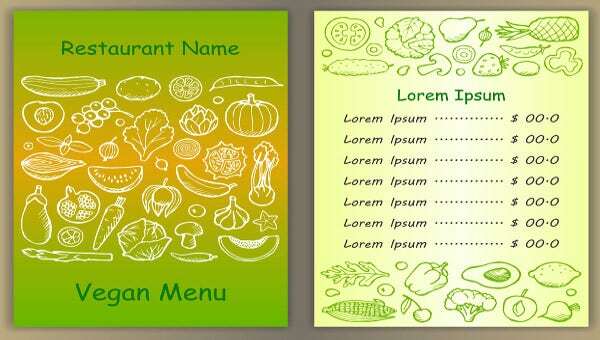 This Excel format designed price menu template comes in a creamy color. 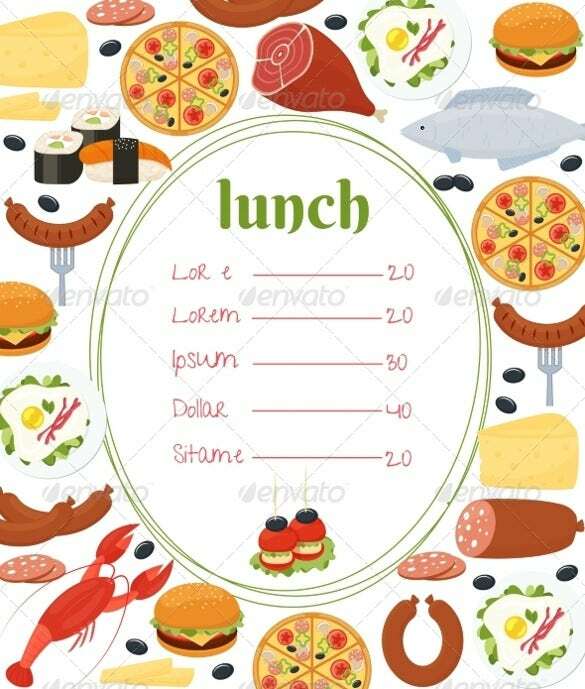 The menu template has pictures of the items served and their prices on the edge of the picture. 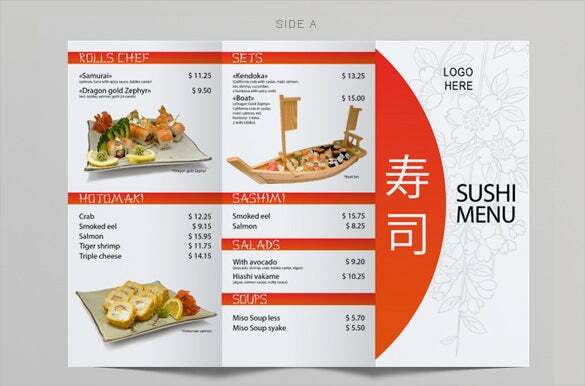 A fitting price and in your budget for your menu is important. 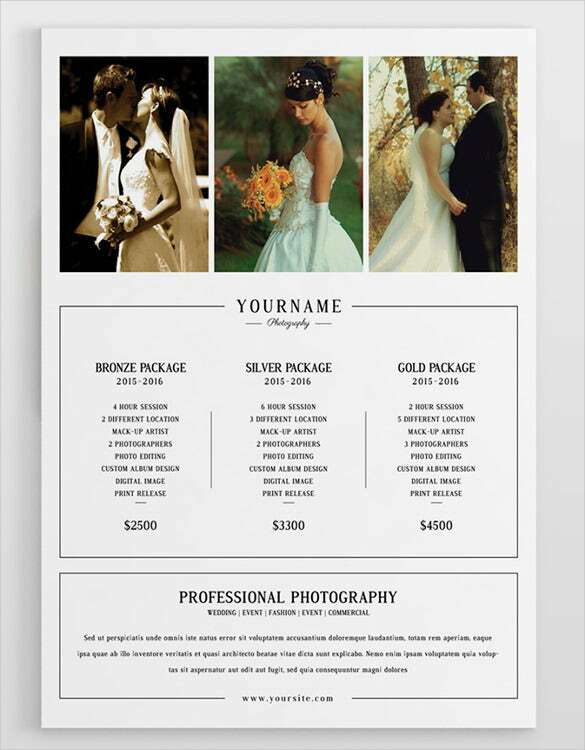 This PDF wedding price menu template will help you choose your desired package that you would like to spend on. 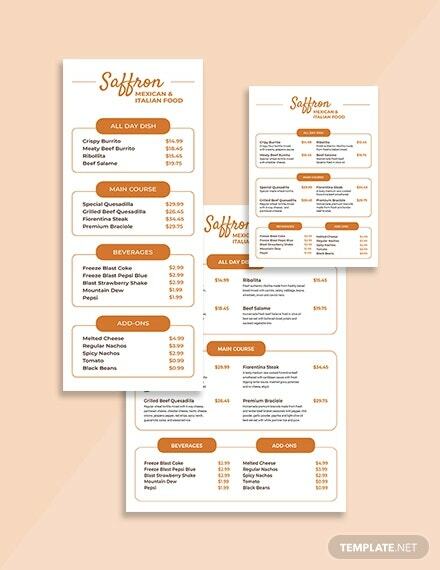 This Word modern price menu template comes in a brown color and the items and prices written in silver and gold. 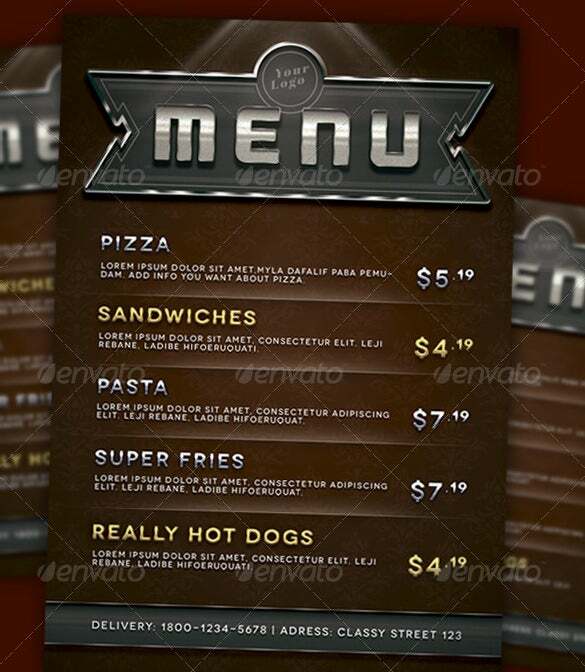 This menu will give the modern prices for pizza, sandwiches, pasta, fries and hot dogs. 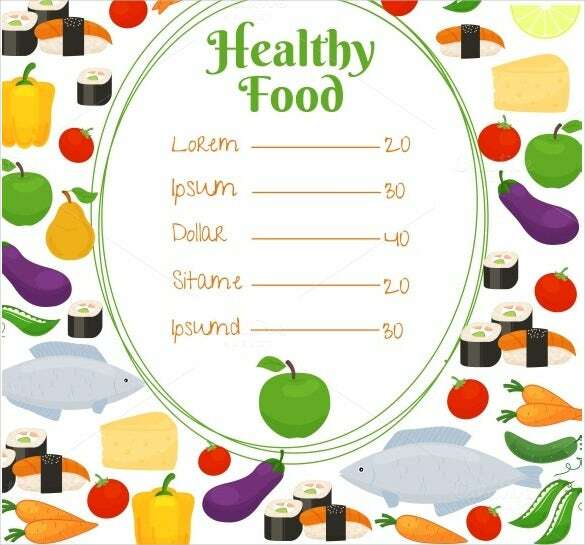 This Excel format healthy price menu template has pictures of fruits and vegetables surrounding it. 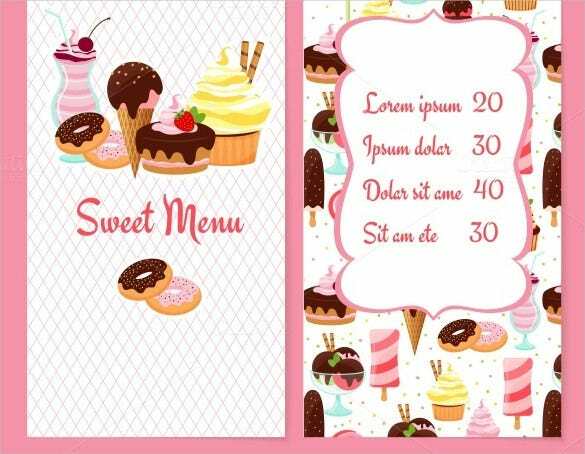 This menu can be customized and used to come up with the price of the dishes you serve. 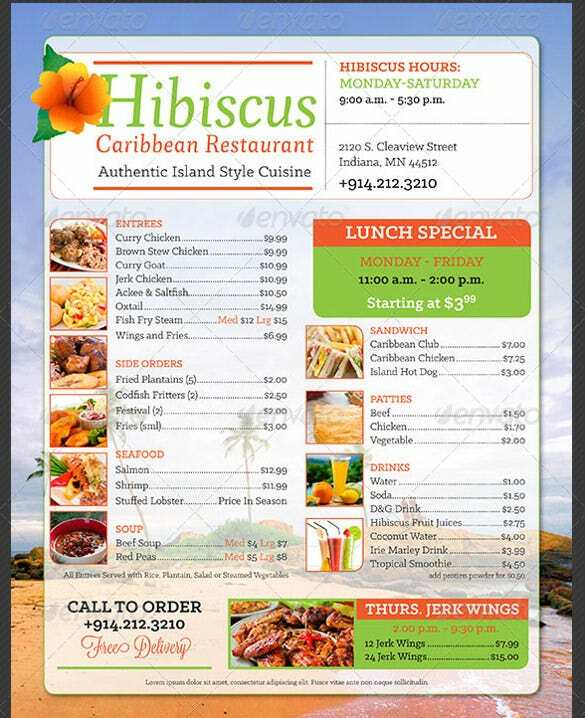 This PDF multicolored island food price menu template will help you find out the prices of food you offer. 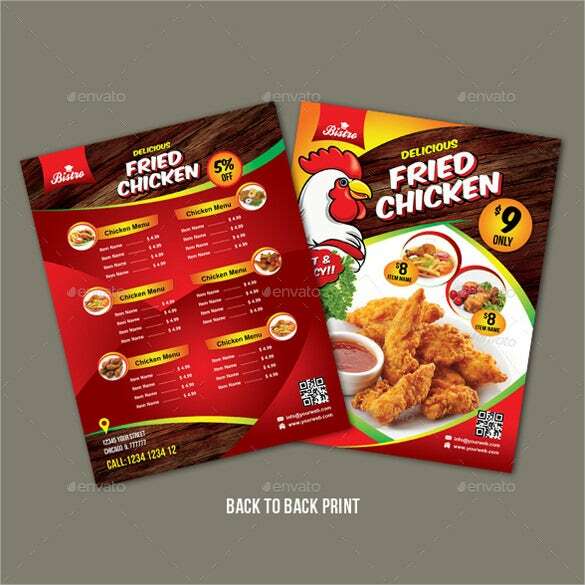 The template is easy to download and use as your reference price menu.